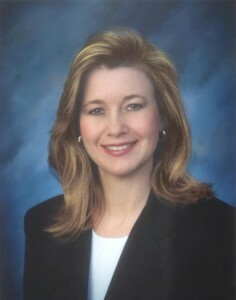 High-Tech Professionals was founded in 1996 by Denise Lidell. She has a B.S. in Computer Science and a Masters in Counseling Psychology with emphasis on Career Development. She began her career as a Software Engineer at Electro Scientific Industries, Inc., and Tektronix, Inc., then transitioned into sales of software tools for software developers. In 1996 Denise established High-Tech Professionals, a recruiting and contract placement agency. Because of our background and experience in software engineering, this company has a good understanding of the kind of skills our clients are looking for as well as the kind of positions that would be a good career move for skilled professionals. As a result, whenever this firm brings together a qualified candidate to an open position, the result is usually a very good “match”. We conduct in-depth personal interviews with every candidate that not only qualifies their suitability for our client’s open positions, but also helps the candidate to clarify their career goals. Therefore, our placements are usually a long-term solution for both the candidate and the client company. With the detailed “matching” capabilities of our recruiters in terms of skills, technologies, and personalities, the end result is that valuable interviewing time is saved by both parties. For a list of the companies we have worked with, please see our client list page. To submit a recruiting or staffing request Click Here.